By leading the way for your employees and team, you help usher in a new era of problem solvers. To help you on the road to success, UC Davis provides the necessary information and resources you need to effectively manage staff at all stages of their career. Let’s build a strong workforce. 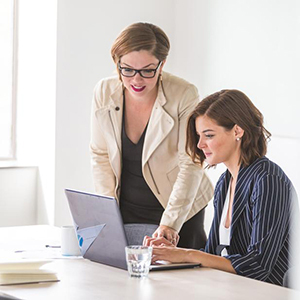 As a manager or supervisor, you will need a wide range of information and resources to help manage your staff members and hone your management skills. UC Davis has all the tools necessary that will aid in the development and evaluation of both yourself and your team. Resources for the effective management of your team, including responsibilities relating to collective bargaining, corrective action and performance management.